Azerbaijan, the potential new hub outstrips Dubai - ASGM CO.,LTD. 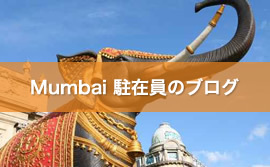 中東ドバイへの進出・販路開拓を支援 - ASグローバルマネジメント株式会社 - ASGM CO.,LTD. 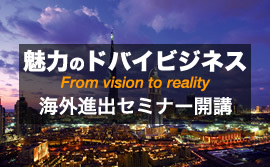 “Why is Azerbaijan planning to construct the world highest tower that outstrips Burj Khalifah in Dubai?” In spite of that European countries and the USA have already set focus on the rapidly glowing Azerbaijan, almost none of Japanese media reports anything about this thriving country for some reason. With recent report by a think-tank with strong connection to the energy sectors saying “Azerbaijan will be a hub of new energy pipeline that covers Eurasia countries” and the statement by international organizations including the United Nations and NATO mentioning “enhancing the soft power of Azerbaijan will make countries around it vibrant.”, a great attention from many countries except Japan have paid to Azerbaijan's market. I've visited in Azerbaijan twice, in autumn of 2013 and 2012, and I have seen everything including the landscape and people's life style has changed in these two years. I remember that I was very shocked by its speed of growth well beyond my expectation. Dozens of constructions throughout the region. The landscape of Baku never stays still, it keeps making tremendous progress just like Dubai did 10 years ago. Azerbaijan, located on the crossroads of Western Asia and Eastern Europe and bounded by the Caspian Sea to the east, is the rapidly growing country on its rich natural resource including oil and gas. It is also endowed with the abundant fossil fuel, and takes a vital role of the energy hub to distribute its resources to the east and the west. Additionally the United Nations has chosen Azerbaijan as a country with the mission to be a hub of the satellite communication and the energy distribution of the world, and Azerbaijan leads the international projects such as TASIM(Trans-Eurasia Super Information Highway) and EOTC (the Euro-Asia Oil Transportation Corridor)as the director of those projects. No doubt that Azerbaijan will become increasingly attractive in the international market from now on. Companies from EU countries, the USA, the Middle East and China have just started pushing into the market in the region. Azerbaijan grew all at once with the huge amount of investments from outside the country. It will definitely develop further more mainly in the satellite communications and regenerated energy sector and execution of EOTC project. It has established the economic cooperation with 21 countries of the Arab League and the governmental financial institution of Qatar has confirmed the large investment to the projects in Azerbaijan. Moreover European Olympic 2015 will be held in Baku. Azerbaijan, standing at the center of the EU, the Middle East and the Central Asia with an enormous amount of energy resource, is relatively young country gained independence from the Soviet Union in 1991. Since then it has grew very rapidly and the population of wealthy class has also surged. The country has totally changed with the transitional economy from socialist to capitalist over the past several years. People have gotten much richer but there is a considerable shortage for services and products that is smart and nice for them to spend money. 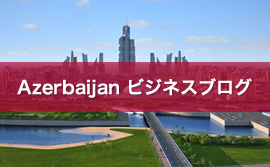 In spite of people in Azerbaijan are really favorable and friendly to Japan and have absolute reliability and strong preference to made-in-Japan products, regrettably the number of Japanese companies advanced in the region is extremely low. 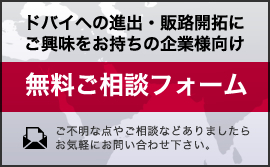 To begin with, I'd say that the Japanese executives' awareness of Azerbaijan is significantly poor. Now in Azerbaijan a number of amazing big projects have been started towards the future one after another. One of the major projects is Khazar Island project developing an artificial island over the Caspian Sea just like the Palm Jumeirah in Dubai. The world's largest artificial island will be constructed when it is completed. The Azerbaijan Tower which is expected to be 1050m high and the tallest in the world, no need to say much higher than Burj Khalifa in Dubai, is to be the centerpiece of Khazar Island. 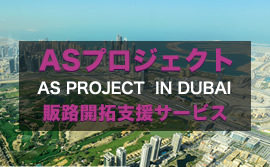 The project is scheduled to be completed between in 2020 and 2025. The island will be the new city in the suburb of Baku to house 1 million residents. Other projects include Zira Island the Central Asia's first carbon neutral master plan, Baku White City the financial center of Caucasus region, Sumgayit Industrial Park the free zone grants foreign companies a privilege to do untaxed business for 7 years, Port Baku the complex facility holds shopping mall, residential area, business district and harbors, and Park Seaside Bluebird the expectant world's largest sea side park with a 30km-long beach. Every projects focuses on the concept to develop a sustainable city that is human and environment-friendly thinking of Azerbaijan in another 10 decades. 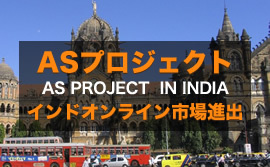 The final deadline for all the projects is in 2020. Counting down to the coming future deadline, this country is now experiencing the rapidest growth and change in the world with an aim of becoming the hub of Eurasia. To date, in general, small countries with low popularity which is poor in natural resources had achieved a breakthrough on the issue of international subsistent by becoming logistic and transportation hubs, among them Singapore, Hong Kong, Dubai and Sri Lanka in recent. They had undergone the drastic reforms of their harbors and air ports to move into a new economic model. It's has been only a survival strategy for small countries after all. However now Azerbaijan, one of the most resource-rich countries in the world is thriving to be the big central point of hub-and-spoke distribution network in the Middle East and Eurasia. And now, attracting the global society, a great route of information and energy from Western Europe to China is about to be created. 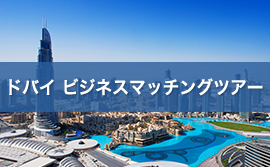 There are very high demands for products and services provided by Japanese companies among the people seeking after the further wealth, although nevertheless almost no Japanese companies are actively operating their businesses in Azerbaijan. 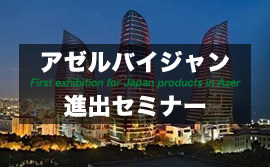 To open the way, the first exhibition for Japan products is going to be held in the rapidly growing country with the huge potential market for Japanese companies by great support of the government of Azerbaijan. 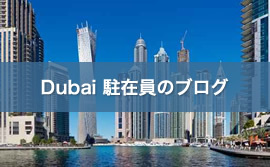 Why don't you jump into the blue-ocean market for Japan to create a new stage of your business. Please get the chance at the memorable first exhibition “Cool Japan 2014/Japan Azerbaijan Business Festa' 2014”. This is surly a golden opportunity to establish the connection to the vibrant heart of Azerbaijan as the pioneer. Copyright 2014 AS Global Management CO.,LTD. All Rights Reserved.